What Is The Matched Betting Calculator? The matched betting calculator gives you the ability to determine what your exact lay stake should be, your liability and your profit. Enter the bookmaker odds, odds from bet365 for example, and the stake to back. The Matched Betting Calculator will do the rest of the work. Why Use The Matched Betting Calculator? You will then see how much profit you could make if your Back bet wins and if your Lay bet wins. You can then decide whether to go ahead. Matched betting is a method used to create an advantage from the free bets and promotions offered by bookmakers. This is done by removing chance and covering all possible outcomes of a particular match or game. Usually, matched betting starts by signing up to a new bookmaker and taking advantage of their new customer offer. We’ll look at an example now. Let’s say a particular bookie, like bet365, is offering you a £20 free bet if you deposit and bet £10. We sign up, deposit £10 and bet this on Ronnie O’Sullivan to win at odds of 2/1. 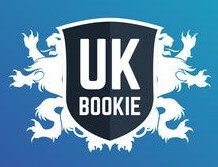 Our next step is to sign up with a betting exchange – there’s a number of these available online. We deposit and bet against O’Sullivan to win. We’ve then covered each outcome of that particular game. The key is to match the betting odds as closely as possible and understand what our back and lay stake should be. We may make a loss on our first bet, but we’ve unlocked our £20 free bet from our sign-up offer. Now, we can start to make a profit. While most matched betting opportunities start by using a new customer offer, don’t worry if you’ve already signed up to most online bookies. We can still have plenty of options by using existing customer promotions, known as reloads, and we can apply the same principle. To understand and use Matched Betting to its fullest potential, you need to know which type of bets are required. Matched Betting consists of a Back Bet and a Lay Bet. In its simplest terms, a back bet is where you stake money on a particular outcome. Generally, bettors are far more experienced in placing back bets than laying. So, we’re looking at placing a bet on Arsenal v Liverpool and we place a bet on Arsenal to win – in other words, we’ve backed Arsenal. If Arsenal wins, we win our bet. If Arsenal doesn’t win, we lose our bet. Now, a lay bet is where we bet against a particular outcome. Using our Arsenal v Liverpool example, we’re going to place a bet on Arsenal not to win or laying against Arsenal. If Arsenal wins, we lose our bet. If Arsenal loses or draw, we win our bet. There are more advanced features to a good betting calculator, which we will come to shortly. There’s more to be gained from a free bet calculator than just working out how much you need to back and lay. In this section, we’re going to discuss the advanced functionality of a matched betting calculator. If you’re experienced in matched betting, you may want to consider using various other techniques to maximise your potential profit margin. The most popular ways of doing this are to overlay, underlay, or enter a custom stake. To access any of these options, hit the Advanced button on your matched betting calculator. This will open up the Overlay/Underlay tab. What is Overlay betting? As the name suggests, overlaying is when you lay more than you need to. This is done primarily when you want a particular outcome to happen, for example, a team to win, in order to trigger a free bet. Underlaying is where you lay less than suggested when you want a particular outcome to not happen, i.e a team not to win. You also have the option to enter a custom stake. This, along with overlaying and underlaying, adds more risk to your betting if you’ve not fully calculated all possible outcomes. An advanced matched betting calculator will also help you work out potential stakes if you want to part lay a bet. 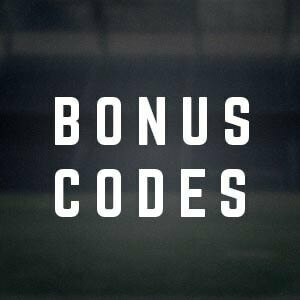 Hit the Add Part Lay button, then enter your odds and stake. The matched betting calculator will work out your new lay amount. To utilise match betting to its maximum, it’s important to enter what kind of bet you’re placing whether it’s a Qualifying Bet, a Free Bet or a Risk-Free Bet, with Stake Returned and Stake Not Returned options. In its simplest terms, you’d place a Qualifying Bet in order to earn a free bet or a Free Bet when you want to earn profit from a free bet you’ve qualified for already. Your free bet calculator will then determine what your back and lay stake should be as normal when you’ve entered both back and lay odds. If you’re looking to make money from matched betting, a calculator could help you to identify the best back and lay stakes in order to extract the most profit. Entering the odds in a calculator such as this lessens the risk of you making a mistake, i.e incorrectly working out what your lay stake should be. Whilst you can work out your own back and lay stakes, using a calculator can save you lots of time and energy.